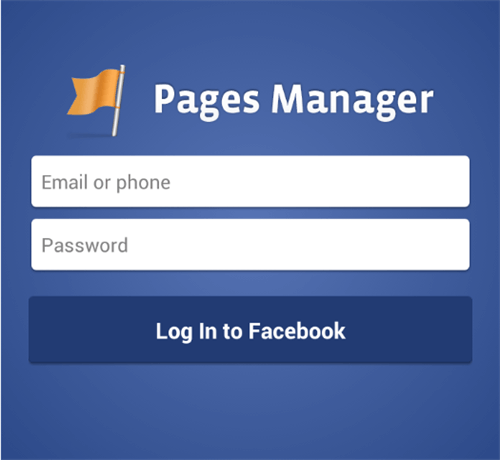 Facebook recently launched their Pages Manager App on Android (having done so on iOS in May last year). That’s great news for me – a laggard for only having an Android – and enables me to have almost complete control over brand Facebook pages from the palm of my hand. It’s a very nimble and user-friendly piece of kit. It’s quicker and slicker than its m.facebook.com counterpart and has a few features that, if you’re the admin for brand Facebook pages, you really shouldn’t go without. Prior to installing the app I was stuck using the clunky and hazard-filled m.facebook.com to manage pages. While the m.facebook in-browser version is improving all the time, and has been very useful on occasions, it suffers from a few flaws. None of these issues are greater than m.facebook.com’s readiness to allow you to accidently post brand messages from your personal account on a business page. There’s no more crushing feeling in the rather niche world of mobile Facebook app management than posting about a great limited time discount or new product release on your brand page, only to see it appear in the “posts by others” section with your own name and personal profile attached to it! Until a recent update you also couldn’t delete any posts on your brand page, including your own, so it was double jeopardy if you posted as yourself on a client’s page. You might also send out a status update only to spot a mistake and find that the dye was cast until you reached a desktop to rectify the problem. In these expeditious times of viral social media, that can feel like a lifetime. 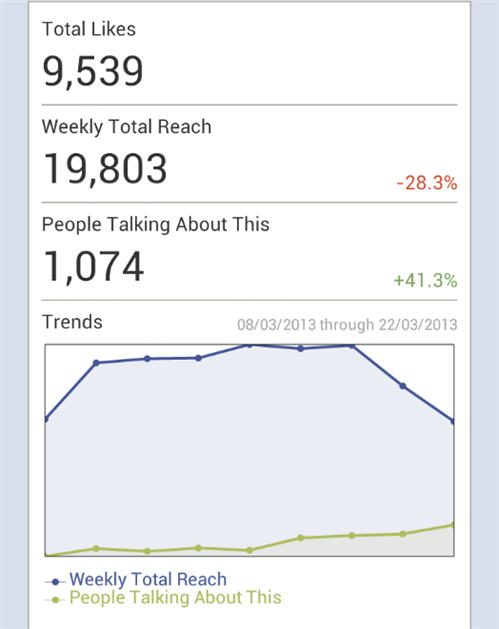 The second shortcoming of m.facebook.com was that you couldn’t control your budget for promoted posts. You might find that you had exhausted your budget too early, for example, but with the in-browser version you have no response to this situation short of phoning someone for help; very much a nineties solution to a modern problem. 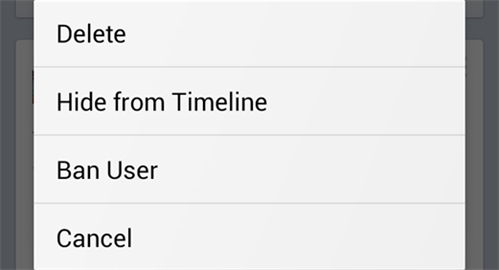 In steps Facebook’s Pages Manager app to save the day. Here, you can manage all of your Facebook brand pages in one place and, most valuably, you can’t post as yourself, only as your brand. If you do make a mistake, or a user goes rogue and starts spamming your page, you can very quickly and easily hide or delete comments and, where necessary, ban users. 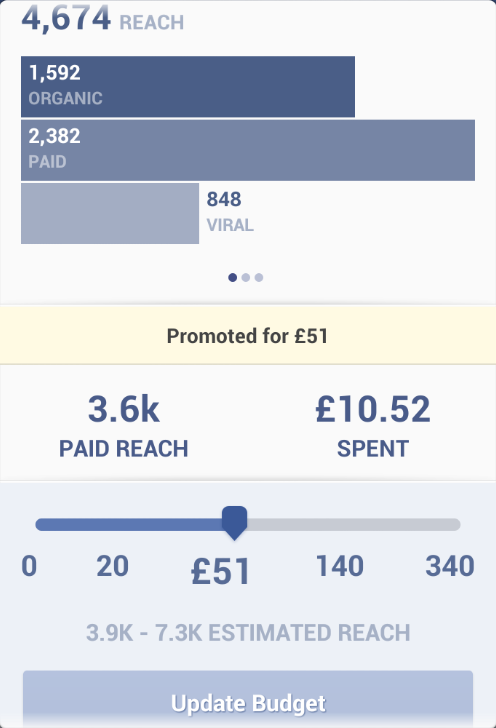 One of the most useful features and trump cards the app holds over the in-browser version is the control you have over promoted posts and their budgets. Promoting posts, extending or lowering budgets or switching off promoted posts are all very quickly and easily achieved. There are also a few nifty features which I haven’t yet found a use for. The top line stats you can pull, for example, are a nicety, but I struggle to see a time where you’d be out and about and need this information on the spot. Seemingly, the only thing you can’t yet do on the app that you can on desktop is tag other people in your status updates, which can be particularly useful for boosting the reach of your updates on Facebook.